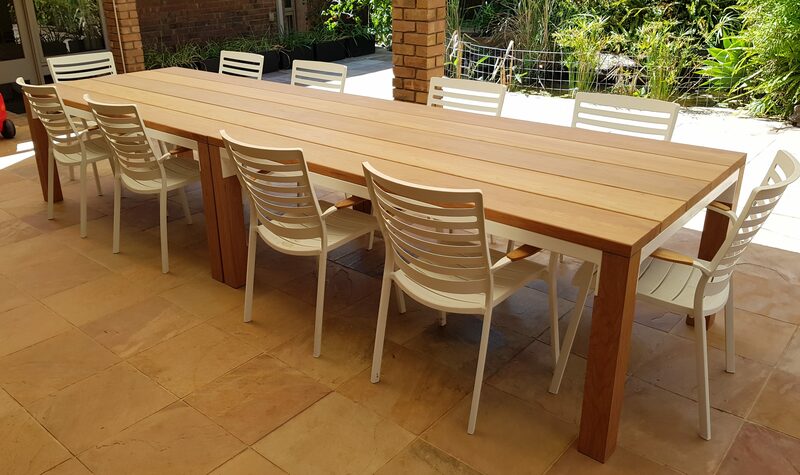 Bench-tops for Kitchens, Vanities, Dining rooms …. 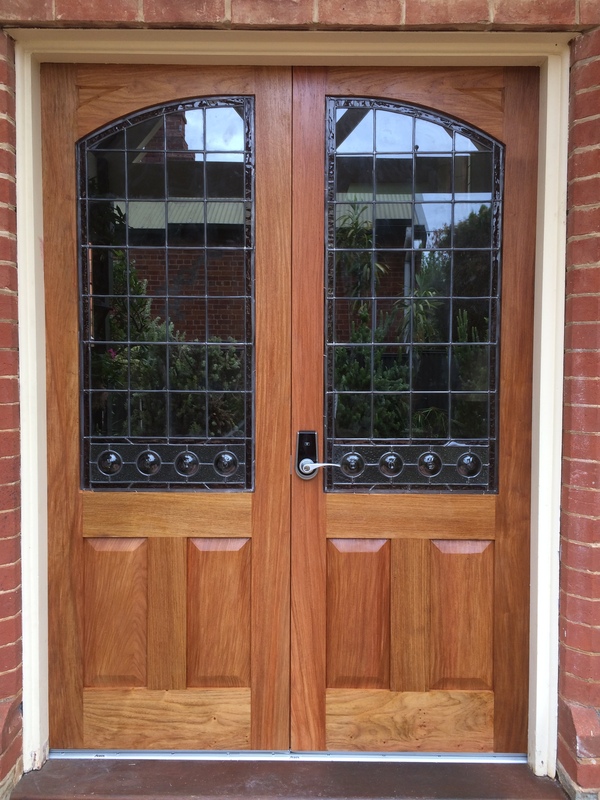 suitable species available for Doors and window frames, furniture, etc…. internal or external applications. D.I.Y. or CUSTOM MADE- N.G. 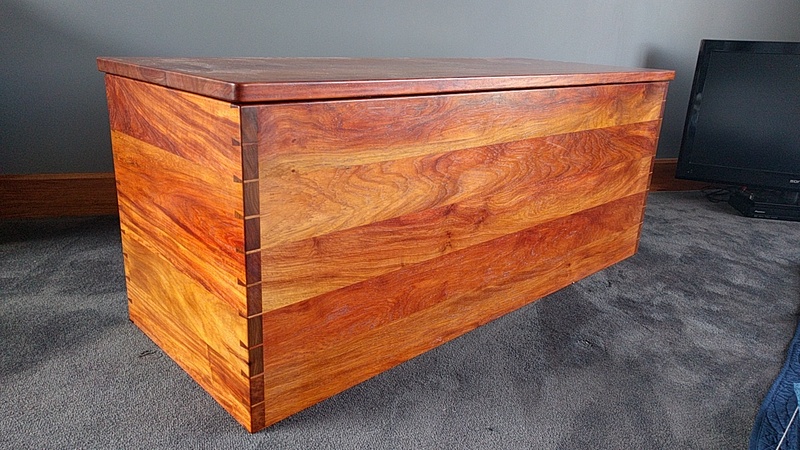 Rosewood as the most forgiving and stable timber for the hardwood beginner to the experienced. 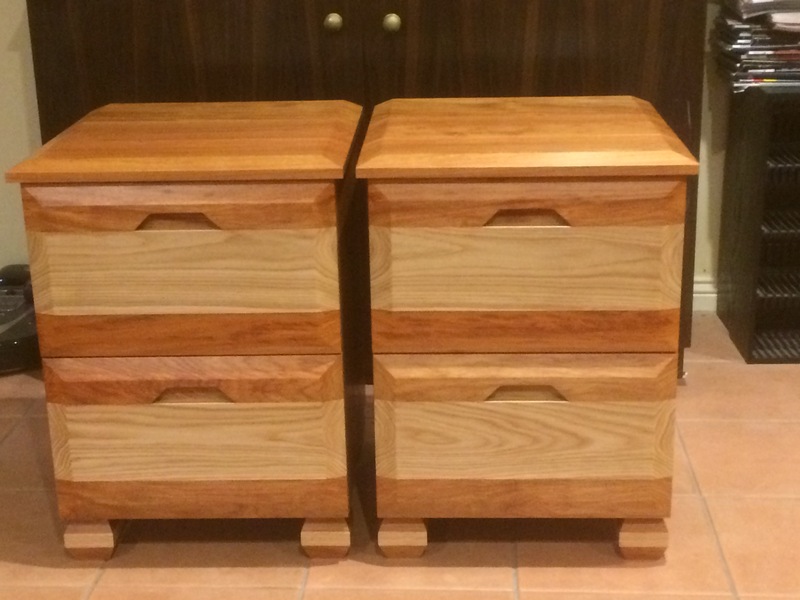 Buy the timber machined ready for you to D.I.Y. Or laminated here to order in many board lengths, sizes and thicknesses. 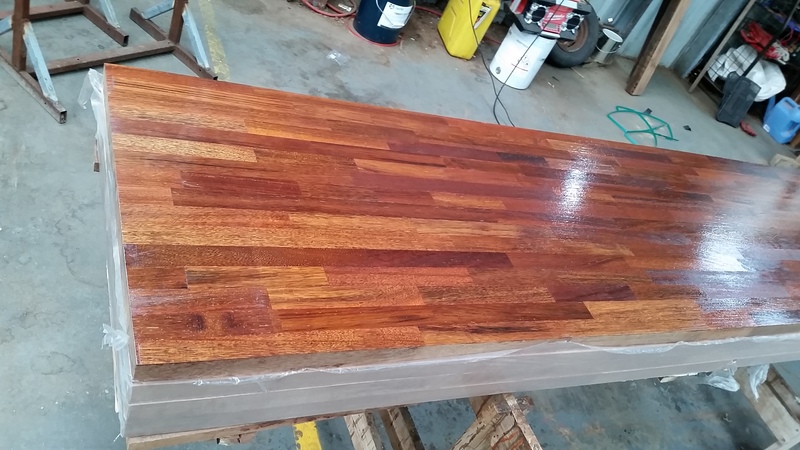 SOLID PNG ROSEWOOD F/J 630x30x5400mm run of mill laminated bench-tops $850 photos are not oiled or coated. 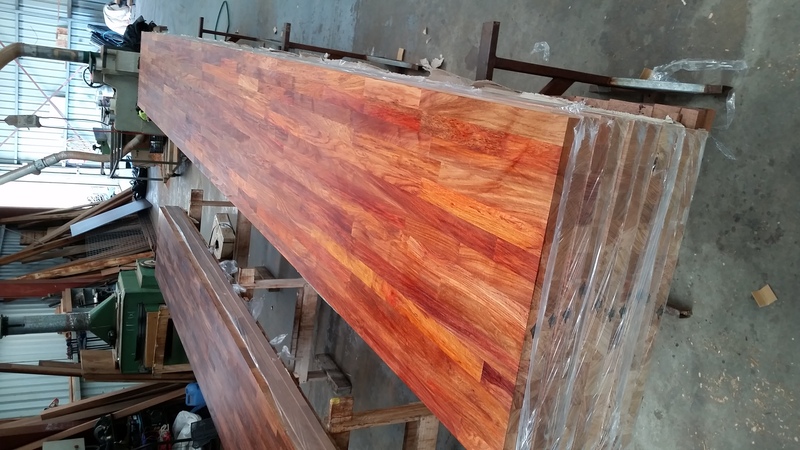 SOLID MERBAU F/J 620x40x4200mm and 920x40x4200mm run of mill laminated $650- 850.